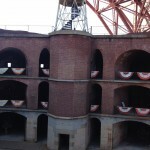 Fort Point (built in 1861) to defend the Union army and California’s gold from outsiders, never saw any military action. 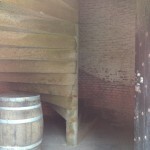 There are three great stairwells in the fort which allow for passage between its three levels. 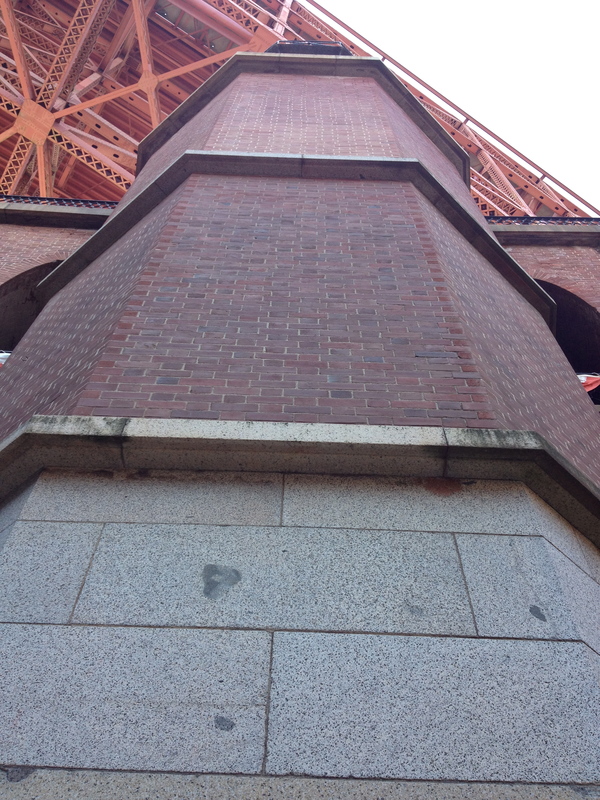 Huge granite wedge-shaped slabs are stacked upon each other tongue and groove style and spiraled up. 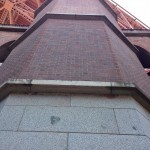 This construction is self supporting and constitutes a central cylindrical structure that each wedge retreats from before it recedes into the wall. 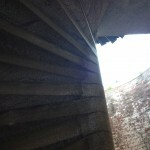 Each staircase is housed in its own tower, allowing for those on the upper levels of the fort (in a time of crisis) to swiftly descend to safety on the ground level. 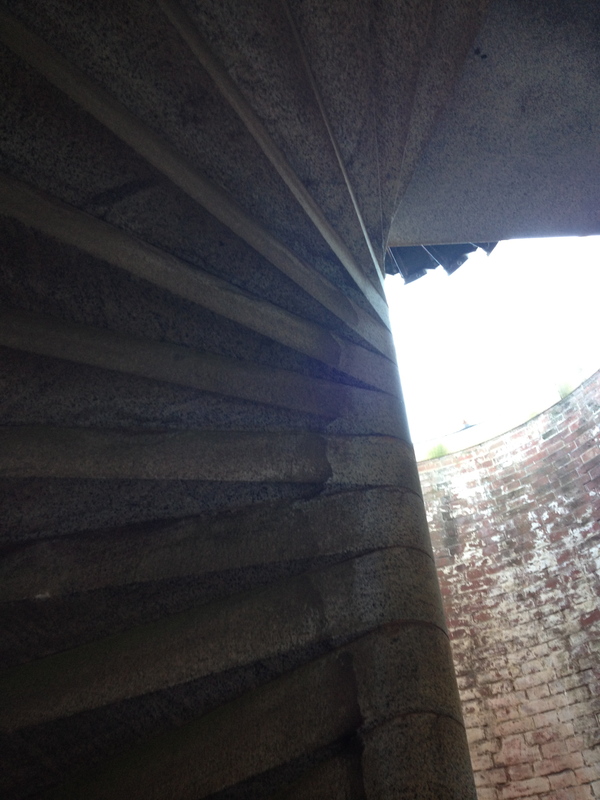 Because of their independent, self supporting structure, they’ll stand longer than other parts of the fort. 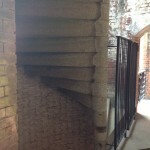 These are caring, custodial stairs, prospective saviors to the fort’s inhabitants. 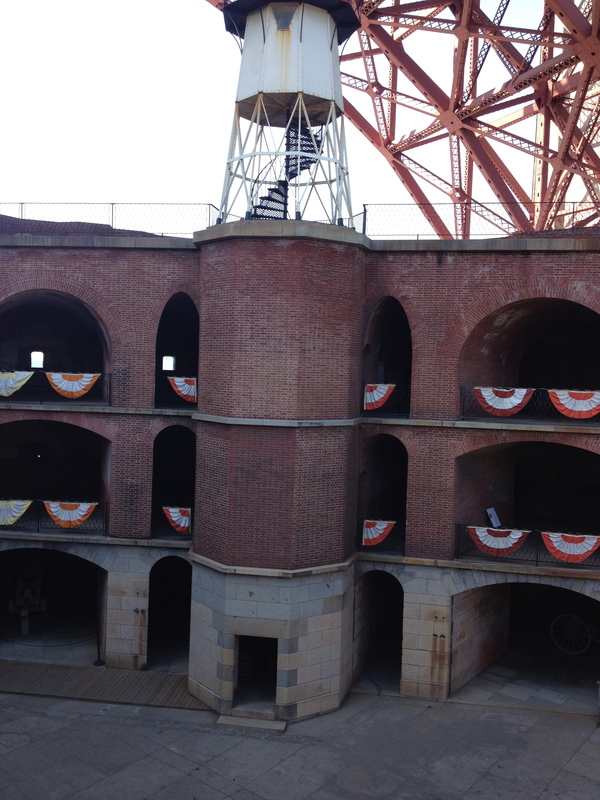 These stairs were there to protect the men who protected our city, our country, and our gold. 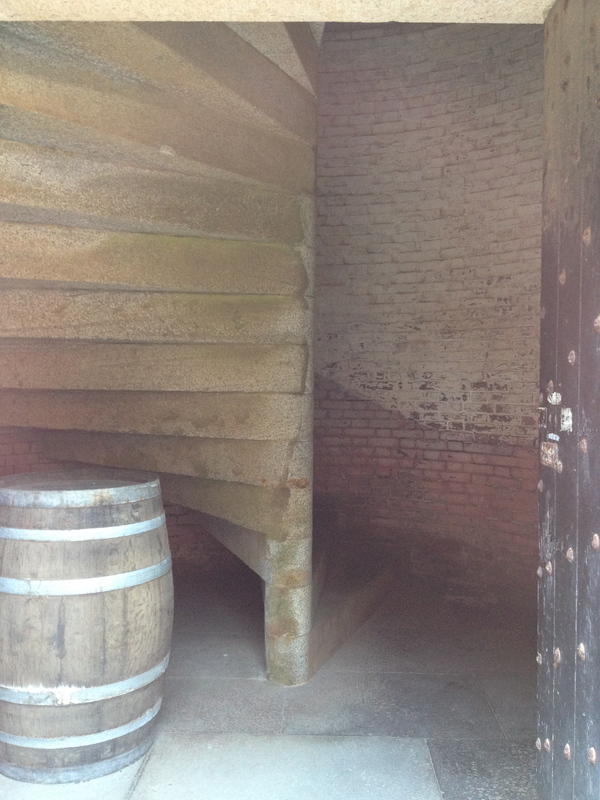 Union soldiers came safely and easily down these stairs. 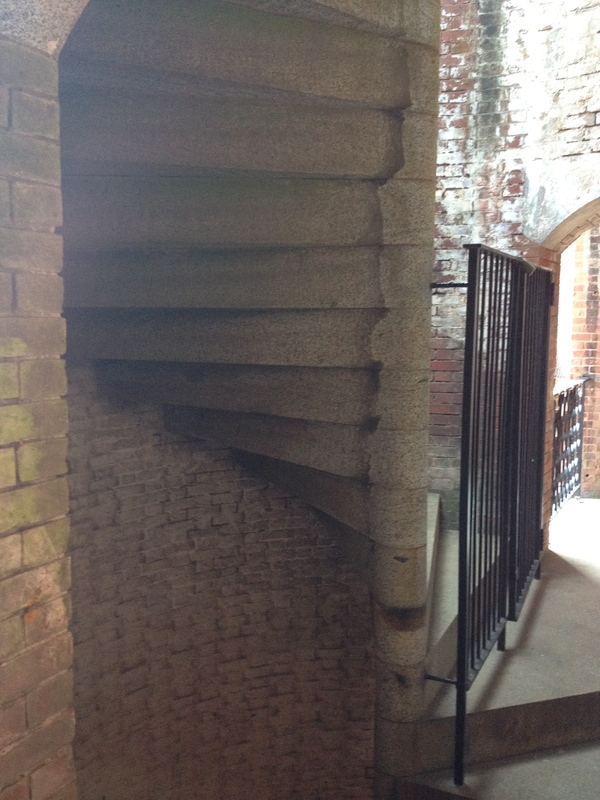 Although these stairs have never been called to action, they have the potential to be great, to save hundreds, to preserve the lives of those that were there to protect us. Emily Gable is an artist currently pursuing a master’s in philosophy, she enjoys cycling and the ocean.